The Estorick Collection in Canonbury Square, N1, is a little jewel box, a far cry from the national museums whose expensive acquisitions and big staff mean they have to put on blockbusters all the time. Anything likely to be unpopular with the public at £15 a head won’t show, even if it’s artistically and historically important. 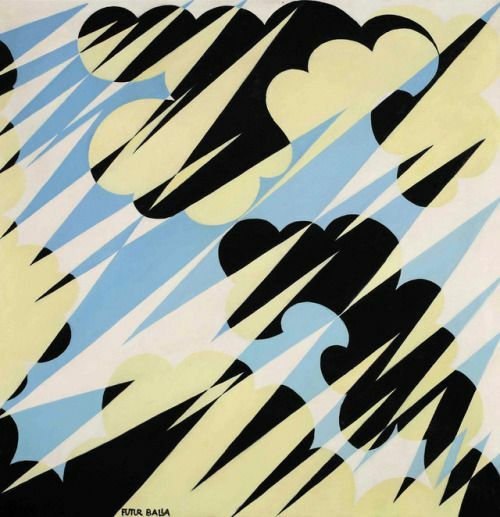 The Estorick is devoted to 20th century Italian art with special emphasis on Futurism. Consequently, you will see small but well curated exhibitions of Futurist art that will make you change your ideas. Such was “Piety and Pragmatism” in 2007, about the surprising sacred art produced by Futurists in the 1930s, following Mussolini’s Treaty with Rome. Now the Estorick has, until the weekend, a show about Giacomo Balla, one of the founders of Futurism and the only founder except Marinetti who stayed with it after the First World War. From the painter’s signature, FUTURBALLA, you guess that it became a part of his identity. Balla was largely self-taught. His early works, in Divisionist style, demonstrated his radicalism. 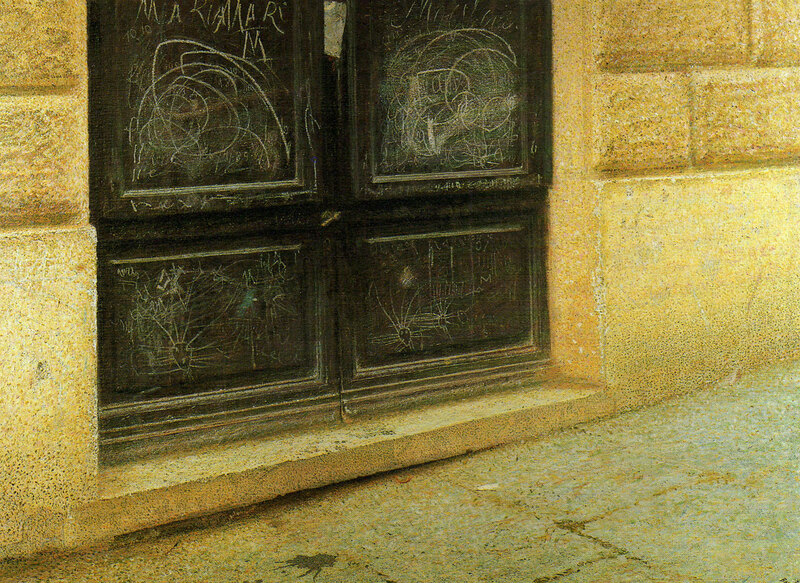 His painting “Failure” (1902) shows a detail of closed doors covered in graffiti. The angular placing and close cropping of the subject was typical. The influence of Bergson’s philosophy on Futurism is well-known, but Balla’s Futurist paintings were also underpinned by his interest in Theosophy and his attendance at séances. Conceiving of art as a total enterprise (in the case of Futurism we may say a Totalitarian enterprise) Balla turned to designing clothes and furniture. Although their patterns are abstract and formal, they are closer to the output of the Omega Workshops and the Wiener Werkstätte than to the modern industry that the Futurists affected to admire. 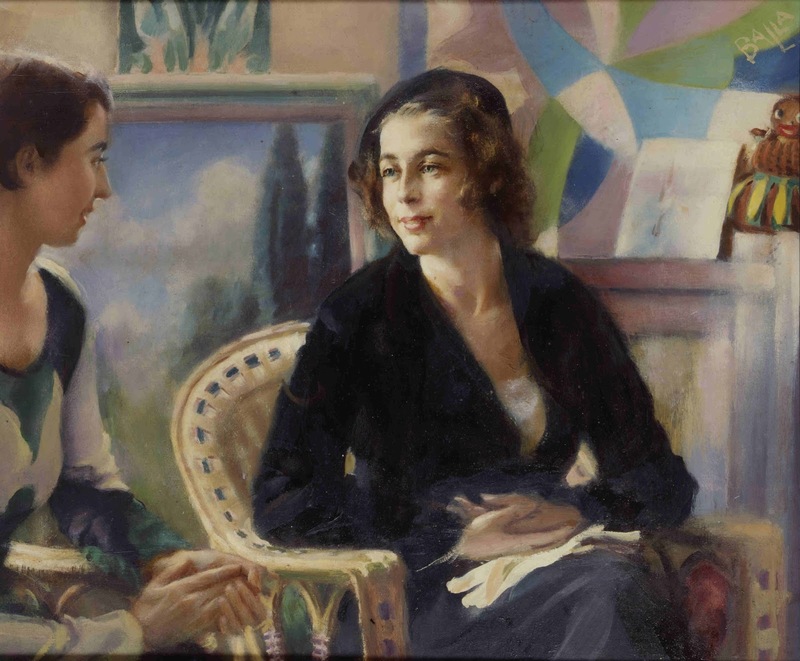 After twenty years of producing work in a consistent style, Balla realised that working in the same way for so long was a bit passéiste, and he made a sudden change to representational paintings derived from images in commercial advertising, popular magazines and newspapers. Fabio Benzi in his catalogue essay points out that he anticipated Pop Art by quarter of a century.